The human brain was once considered a single organ with specific areas allotted for different tasks. Now, with recent research studies, it has been concluded that the human brain is, in fact, one of the most complex organs of the body. The brain is a large neural supercomputer that has neurons, firing information and tasks away to each other from one corner to the other. Memory, that was once considered to be like a stack of folders kept in a single place, is now attributed to function in many different parts of the brain. Scientists now also know that memory actually takes many different forms. 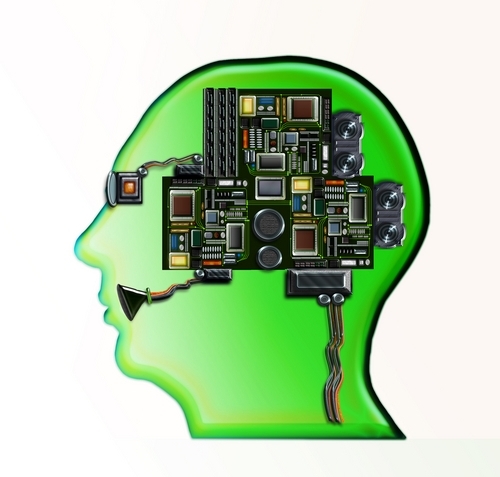 We know that when we store a memory, we are storing information. But, what that information is and how long we retain it determines what type of memory it is. The biggest categories of memory are short-term memory (or working memory) and long-term memory, based on the amount of time the memory is stored. When you are trying to recall a telephone number that was heard a few seconds earlier, the name of a person who has just been introduced, or the substance of the remarks just made by a teacher in class, you are calling on short-term memory, or working memory. This lasts from a few seconds to a minute; the exact amount of time may vary somewhat. You need this kind of memory to retain ideas and thoughts as you work on problems. In writing a letter, for example, you must be able to keep the last sentence in mind as you compose the next. To solve an arithmetic problem like (3 X 3) + (4 X 2) in your head, you need to keep the intermediate results in mind (i.e., 3 X 3 = 9) to be able to solve the entire problem. The distinction between short-term memory and working memory is an ongoing debate, as the terms are often used interchangeably. There are scholars who claim that some kind of manipulation of remembered information is needed in order to qualify the task as one of working memory. Repeating digits in the same order they were presented would thus be a short-term memory task, while repeating them backward would be a working memory task. Another viewpoint is that of Nelson Cowan, who says short-term memory refers to the passive storage of information when rehearsal is prevented with storage capacity around four items. When rehearsal is allowed and controlled attention is involved, it is a working memory task and the capacity is closer to seven items. Children who underachieve at school may just have poor working memory rather than low intelligence. Researchers from Durham University, who surveyed over three thousand children, found that ten percent of schoolchildren across all age ranges suffer from poor working memory seriously affecting their learning. Working memory is increasingly recognised as a crucial cognitive skill and by improving our working memory we may be able to realise gains in key areas, from school to work to retirement. Below are a few ways to improve your child’s (or you own) working memory. A previous study demonstrated the aroma of rosemary essential oil could enhance cognition in healthy adults. New research has shown that the aroma of rosemary essential oil can also significantly enhance working memory in children. This is one the findings of a study by Dr. Mark Moss and Victoria Earle of Northumbria University. Dr. Moss said, “Why and how rosemary has this effect is still up for debate. It could be that aromas affect electrical activity in the brain or that pharmacologically active compounds can be absorbed when adults are exposed. Green tea is said to have many putative positive effects on health. Researchers at the University of Basel reported the first evidence that green tea extract enhances the cognitive functions, in particular the working memory. In their study, the researcher teams of Prof. Christoph Beglinger from the University Hospital of Basel and Prof. Stefan Borgwardt from the Psychiatric University Clinics found that green tea extract increases the brain’s effective connectivity, meaning the causal influence that one brain area exerts over another. This effect on connectivity also led to improvement in actual cognitive performance: Subjects tested significantly better for working memory tasks after the admission of green tea extract. For the study healthy male volunteers received a soft drink containing several grams of green tea extract before they solved working memory tasks. The scientists then analysed how this affected the brain activity of the men using magnetic resonance imaging (MRI). The MRI showed increased connectivity between the parietal and the frontal cortex of the brain. These neuronal findings correlated positively with improvement in task performance of the participants. “Our findings suggest that green tea might increase the short-term synaptic plasticity of the brain,” said Borgwardt. The results of this research, published in Perceptual and Motor Skills, found a significant increase — approximately 16 percent — in working memory performance in the barefoot-running condition. There was no significant increase in working memory when running with shoes. Additionally, the speed and heart rate of the participants was measured but neither was found to have any impact on working memory performance. In an interesting research study, chiropractor Dr. Jaidan Mays compared the effects of Edublox training versus Edublox training combined with cervical spinal manipulative therapy on visual working memory. Mays hypothesised that cervical adjustment therapy results in augmented cerebral blood flow, which positively impacts cognitive brain functions. The visual memory of both groups improved significantly, by over a year after a one-week 22.5 hour course. Thirty-four Grade 5, 6 and 7 learners from an inner city school participated in Dr. Mays’s study. They were then divided into two equal groups. 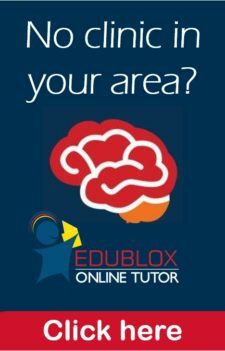 The members of the first group (the Edublox Group) were trained by an Edublox tutor for 22.5 hours over a period of five days. 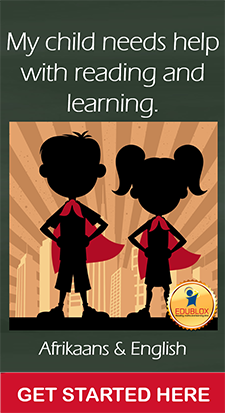 A holistic Edublox program was followed, which included auditory and reading exercises. The members of the second group (the Edublox and Adjustment Group) received the same Edublox training as the first group. But this second group also received cervical adjustment therapy every morning for the five-day period. The assessment was repeated after the five days. André Schmidt, Felix Hammann, Bettina Wölnerhanssen, Anne Christin Meyer-Gerspach, Jürgen Drewe, Christoph Beglinger, Stefan Borgwardt. “Green tea extract enhances parieto-frontal connectivity during working memory processing.” Psychopharmacology, 2014. British Psychological Society. “Rosemary aroma can aid children’s working memory: Exposure to the aroma of rosemary essential oil can significantly enhance working memory in children.” ScienceDaily, 2 May 2017. Jaidan Mays. 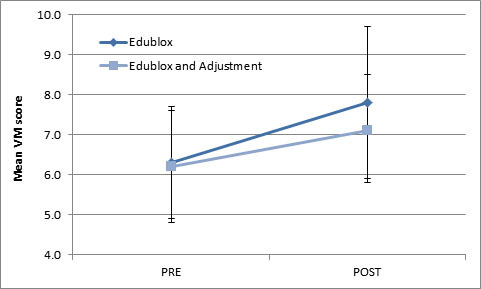 Effects of Edublox Training versus Edublox Training Combined with Cervical Spinal Manipulative Therapy on Visual Memory. University of Johannesburg, 2014. Nelson Cowan, “The magical number 4 in short-term memory: A reconsideration of mental storage capacity.” Behavioral and Brain Sciences, 2001; 24. R. G. Alloway, T. P. Alloway, P. M. Magyari, S. Floyd. “An Exploratory Study Investigating the Effects of Barefoot Running on Working Memory.” Perceptual and Motor Skills, 2016; 122 (2): 432.